The Manor and Hall at Lilford have been the home for only two families over 500 years, namely the Browne (Elmes) family from 1473 to 1711, and then the Powys family from 1711 to 1949. Lilford Hall remained empty for around 50 years shortly after World War II when the last of the senior line of the Powys family died out. Oddly, this means that the Browne (Elmes) family were at Lilford for 238 years, and the Powys family were also at Lilford for 238 years! 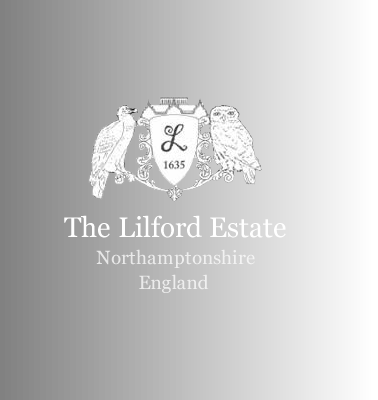 The Manor of Lilford came into the possession of the Browne (Elmes) family in 1473, and the family subsequently built the Tudor part of Lilford Hall in 1495 and then the Jabcobean part of Lilford Hall in 1635. The family lived in the Hall until 1711 when the last of the senior line of the Browne (Elmes) family died out. Please click on their name for a biography. The Powys Family purchased Lilford Hall in 1711, made Georgian alterations to the interior of the Hall and built the Coach House and Stable Block in the 1750's, and remained in ownership of the Hall upto 1949. Click here for photographs of The Browne (Elmes) Family, and click here for photographs of The Powys Family.